This post was first published by My London on 31/01/2019. The NHS Trust was rated best for ‘treating new mums with dignity and respect’. Having a baby can be a pretty scary time, and the one thing mums want to be sure of is that they’ll be taken care of in hospital. For peace of mind, it has been revealed that pregnant women should head to Croydon to give birth, with the borough’s NHS Trust being rated the best in London for ‘treating new mums with dignity and respect’ during their labour and birth of their babies. The trust runs Croydon University Hospital and Purley War Memorial Hospital, as well as the Rainbow Health Centre in Thornton Heath. It was given a score of of 9.7 out of 10, the best in London and the fourth highest in the country in the National Maternity Survey carried out by the Care Quality Commission (CQC). Women were asked questions about all aspects of their maternity care, from the first time they saw a clinician or midwife, what their experience was during the labour and birth, through to the care provided at home in the weeks following the arrival of their baby. 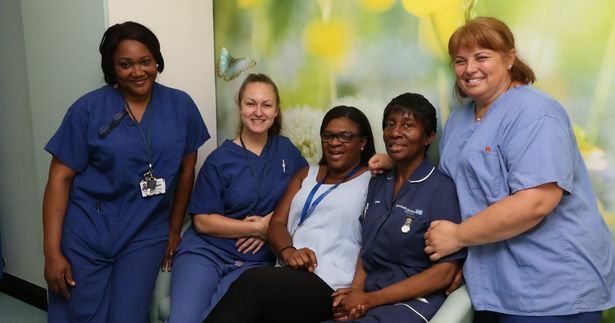 The teams working in Croydon were praised for involving women in decisions around the care given to them during the labour and encouraging mums to have skin to skin contact with their little ones after birth. Director of Midwifery at Croydon Health Services NHS Trust, Manjit Roseghini, said: “The positive feedback received from mothers is a testament to the dedication and efforts of staff in our maternity team and across the wider department. “The results show that most mothers are happy with the quality of the care they receive from our colleagues and we are proud of the areas where we are performing well. To give women greater choice for their maternity care, Croydon University Hospital offers better facilities than most budget hotels, with larger than average rooms with space for partners to stay overnight in the midwifery-led Birth Centre, including several with birthing pools. For women who need additional support in labour, the hospital’s 11 delivery rooms are all ensuite and have been designed to make women feel as comfortable and calm as possible. It’s not the first time the Croydon University Hospital has had a pat on the back for its services to expecting mothers. In February 2018, midwife Paulina Sporek won a national award for her incredible work with deaf mums. The dedicated midwife founded the Deaf Nest Project when she was still a student, which provides training for dealing with deaf parents during childbirth. 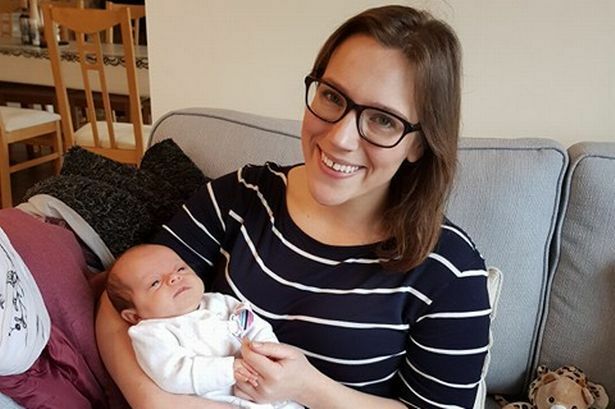 New mum Suzie Luscombe also praised the midwifery team in January 2018 after a terrifying ordeal in which her pregnancy went from “low-risk” to “high-risk” in a matter of hours. Her daughter was born a month premature by Caesarean but is now happy and healthy after the midwife from Croydon University Hospital, Elly, noticed her bump wasn’t growing as normal. “When I had my last appointment with Elly I actually cried because we have bonded a lot and she has done so much for me,” said Suzie. And it became clear that Croydon Hospital was a special place to give birth after two sets of triplets were born there within the space of 24 hours in 2014 .